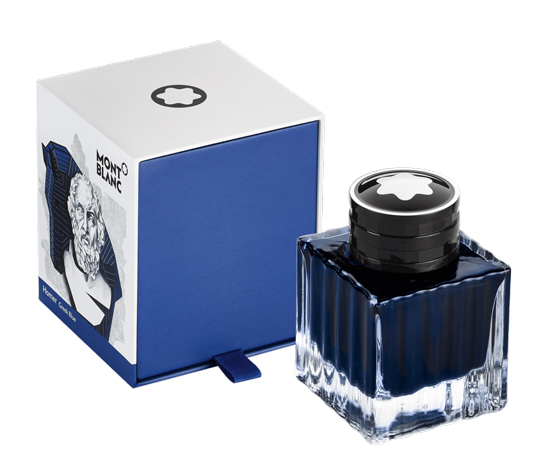 The new 2018 Special Edition ink bottle is linked to the launch of "Writers Series, Homer". The design is inspired by the Homer sculpture and by the epic poem of the Odyssey with the Trojan horse. The color of the cover and ink is inspired by the typical Greek blue color of houses and the sea. 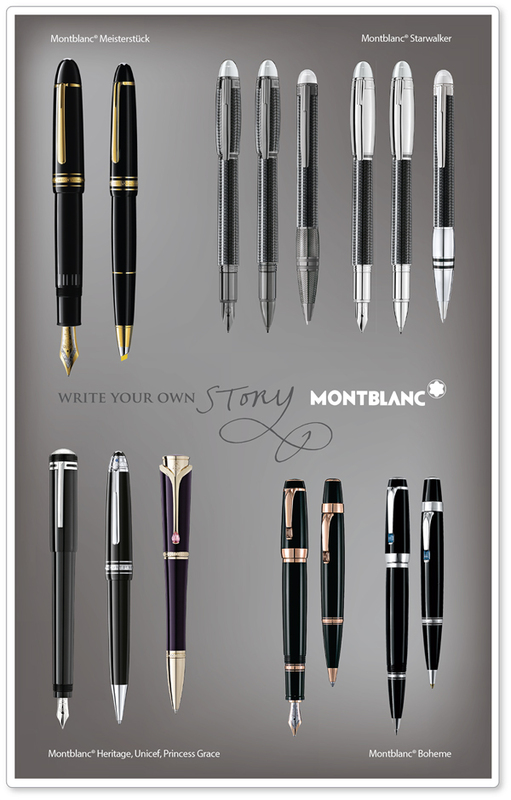 Montblanc recommends using their branded bottled ink exclusively in their fountain pens. The ink contains a special cleaning agent preventing sediment in the piston filler.